I pity my poor wife. In fact, I feel sorry for any relative that’s tasked with purchasing a gift for me throughout the year. I’m not easy to shop for, I know that. And most of that is rooted in me already having just about anything and everything that’s associated with my favorite pastime. Making it worse, I have a habit of simply buying the things I want, when I want them. Of course, it doesn’t help that my daily commute includes driving by the illuminated Bass Pro Shops in Concord, NC! Have you ever witnessed the attraction to a flood light that moths have? That’s sort of the same thing you can see watching my car on Interstate 85. Thus, my family has grown accustomed to buying what many good-hearted Americans serve as gifts around the holidays … gift certificates! In the spirit of ol’ Saint Nick, though, I thought I’d hammer out a few gift ideas for the outdoorsmen in your family this year. Send your wife, mamma, in-laws or siblings the link to this blog and you too can make sure the gift under the tree with your name on it will be something you can put to good use afield. 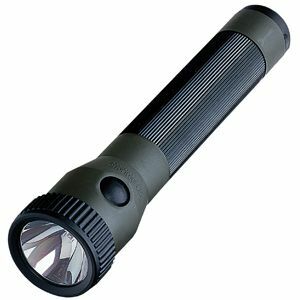 • New Flashlight – Coming in all shapes, sizes and price ranges, the sportsman in your life can never have too many flashlights. I often think of my grandfather who had flashlights tucked in every corner of his life (Of course, he always had rubber bands available at every turn as well, but those would be a little cheap as a gift). I’ve found that you can get a great flashlight for a respectable price by doing the trip through the camping area of your local Wal-Mart. The key is to get something that’s LED and carries the highest Lumen rating as possible. I purchased a Coleman for under $20 that has been a great addition to my pack. For those of you looking to spend a little more than that, the Streamlight Polystinger has become a friend to this blogger as well. It comes with both wall and cigarette-lighter (AC and DC) chargers. They’re bright, but a little on the pricey side (around $75 if you shop around). • Custom Ear Plugs – I’ve just learned about a product that will make its way on my own Santa wish list this year. The Radians Custom Ear Molds (www.radians.com) run roughly $15 and include all the epoxy, etc. to form your own, custom ear protection without the hefty price tag. • Camera Tripod – As you’ve learned, it’s no secret that I love taking video and photos while afield. The gorilla tripod is a handy tool that can pretty much help steady your camera or camcorder to anything. Check out http://www.joby.com for different models and to learn where you can purchase. • Two-way Radios – Once a considerable investment, the price of many models have dropped out of the stratosphere to provide hunters with a great tool to communicate with their fellow hunting party members afield. My family purchased Midland 22-channel, rechargeable models this year to help get everyone on common channels that were different from the low-frequency common channels that half our county used! Do check your local game regulations to see if hunting with radios is allowed prior to buying these for your sportsman. • Knife Sharpener – Look folks, the hunter with the sharpest knife in camp is the coolest. It’s that simple. For several years, my brother and I made sharpening our knives with a Lansky sharpening kit the night before the deer opener an annual ritual. Then, of course, we’d brag to see which knife headed to the woods with the best edge! Time has had a way of helping us here too, as electric-type sharpeners that use technology to make sure your blade ends up with a 20-degree edge have come down to an affordable price (under $50). Visit http://www.chefschoice.com) to learn about several of that manufacturer’s models. • Kodak Zi8 – If you read my early-season reviews of new gadgets in my bag this year, you learned that I’m a big fan of having this alongside me afield. The handheld HD camcorder continues to impress. Trips afield are meant for making memories. Why not chronicle them easily to relive and pass on? The Zi8 is just one of the different types of cameras out there. This too is a little pricier, running in the $175 area this festive season. • Base Layer – Buy quality base layers for your hunter. There are several different manufacturers that make quality cold-weather lycra-based products. You can’t go wrong with Under Armour, but you pay for the name. Buying underwear for your hunter might seem a bit boring, but trust me when I tell you that he or she will thank you later. Other ideas include: Shooting Stix, GPS, Boot Dryers and Smart Wool socks. Finally, don’t forget the pooch when you’re picking out those outdoor trinkets. Santa will be getting Sage a warmer hunting vest for our trip to the coast this winter. We’re also considering getting her a teeth cleaning ($120) sometime later this month. If you’d keep that between us for the next few weeks, I’d appreciate it! The surprise is the best part. New Gear Performance Ratings: Accompanying me this year during the archery season have been a few new pieces of gear. Below are my reviews of their initial use. • Kodak Zi8 video camera: Awesome product. I was extremely pleased with the performance of the camera. It was not the Zi8 taking this photo! The camera guy? He needed a little work. The HD video camera is small enough that it becomes a challenge to hold steady while your adrenaline is pumping hard with deer around! I got better at getting steadier the more I used it. The video was good quality in low- and high-light and the internal microphone did a great job picking up sounds. The one challenge is the stepped zoom. Instead of gradually moving in and out, the zoom jumps. It’s not a deal breaker for me. The hidden gem of the product: It doubles as an awesome tool for checking trail cameras afield. Just slap the SD card in the camera and get color photos from your trail cams. This product rates out as a booner in my book. • Primos bow sling: This thing was a gift or I wouldn’t own one, but I’m kicking myself for never having one before hand. It’s sort of a hands-free device when you’re walking to/from your stand. I also underestimated it as a nice shield for your string and cams when in transport. It’s another booner. • Manzella Ranger bow hunting gloves: These were replacements for a pair of Rocky gloves that I’d had for a couple years. I almost pulled the trigger on buying a pair of Under Armour gloves, but opted to try these. Overall, they did their job. That said, they frayed a large amount for just one week’s use. And they seemed a bit bulkier between the fingers than some of the other gloves I’ve used in the past. I’ll likely be replacing these. I’ll rate these as a 100” 8 pointer! • Mathews Monster: It sure looked good in the tree, but I sadly didn’t get to fling the first arrow from it. Shooting the foam target at camp – not quite the same as shooting at a deer – showed that it should perform well when given the chance. Holding the rating until it gets the “true” test.